Turkey is a party to most major international treaties relating to intellectual property, including the Agreement on Trade-Related Aspects of Intellectual Property Rights and the Paris Convention for the Protection of Industrial Property. Turkey is also a member of international organisations such as the World Trade Organisation that have a connection with intellectual property. At national level, the Industrial Property Code (6769) governs the principles, rules and conditions relating to the protection of trademarks, patents, geographical indications and designs. The Industrial Property Code entered into force on 10 January 2017 and replaced Decree Laws 551, 554 and 556 in relation to the protection of patents, designs and trademarks. the unauthorised transfer or expansion of licence rights by a licensee. Unregistered trademarks are protected under the Commercial Code, which sets out the general provisions relating to unfair competition. Article 54 of the code defines ‘unfair competition’ as “behaviour or commercial practices that are deceptive or infringe in other ways on the honesty rule and that affect relations between competitors or between suppliers and their customers are unfair and illegal”. Article 55(a)(4) also mentions as examples of unfair competition “taking measures to create confusion with the products, business products, operations or business of another party”. there is a likelihood of confusion on the part of the public as to the nature, quality or geographical origin of the goods or services registered. Following the enactment in 2012 of Law 6325 introducing mediation into Turkish law, the courts now encourage the parties to a dispute to mediate. If the parties decide to apply mediation, a third-party mediator acting impartially can be appointed upon the parties’ agreement. When the parties reach agreement through mediation, the court action can be stayed for three months. If the parties reach an agreement, it is possible to obtain approval of the agreement from the court; this gives the agreement the enforceability of a court decision. However, although the courts encourage the parties to mediate, in practice mediation is rarely used. Turkey has no arbitral institutions that specialise in IP disputes. However, it is accepted that, regardless of their nature, trademark disputes that can be settled between the parties may be subject to arbitration. Trademark arbitration principally addresses contractual rights and obligations, breaches and infringements under licensing agreements. Similarly to mediation, arbitration is not used as often as it could be to settle trademark disputes. Specialised IP courts dealing with IP disputes exist in Istanbul, Ankara and Izmir. In other cities, the third chamber of the civil courts of first instance (or, if there are fewer than three chambers, the first chamber) deals with IP litigation actions. The specialised IP courts have acquired a great deal of knowledge and experience since they were set up over a decade ago. the court of the place where the act of infringement produced an effect. The plaintiff can choose where to file an action from among these three options. In invalidation and revocation actions, the competent court is the court of domicile of the defendant. Where the plaintiff is not domiciled in Turkey, the competent court is the court of the location of the business premises of the registered agent; if the agent’s entry in the register has been cancelled, the competent court is where the Turkish Patent and Trademark Office is located (ie, Ankara). Under the Industrial Property Code, the Patent and Trademark Office (rather than the courts) will deal with revocation actions due to non-use. However, since Article 192 of the code has suspended the effect of this provision for seven years, such actions will continue to be filed before IP courts in the domicile of the defendant until 2023. With regard to the civil litigation procedure, once the court action has been filed, the complaint petition is notified to the defendant together with the evidence in order to allow the defendant to present its response petition. The date of the first hearing on the merits is set following completion of this initial examination stage – that is, once the parties have filed their complaint and response petitions. After hearing the parties’ claims and defences, the court may appoint – ex officio or upon the parties’ request – an expert or a panel of experts to consider the evidence. The experts are required by the court to provide an opinion merely on the technical points within their specialist areas and not on the merits of the case. If the court is dissatisfied with the experts’ report or upon the parties’ objection or request, it may request an additional report from the same experts or different experts. Consequently, based on the parties’ submissions, evidence and the expert review of the file, the court delivers its judgment at the last hearing. The reasoned decision must be published within a couple of months of the ruling being delivered in court. Proceedings before the first-instance court take 18 months to two years. publication of the court’s decision. Third parties may also apply to the court for a declaratory judgment for a determination that their intended activities do not infringe the registered IP rights. the royalty that the infringer would have paid for a licence. In practice, the third method is usually preferred, as it translates into a higher amount and is easier to calculate, as long as the claimant can provide the court with a sample licensing agreement. In addition, the Industrial Property Code contains special provisions to prevent ongoing or anticipated infringements of rights, as well as to preserve evidence. Where there is a likelihood of infringement and irreparable damages, the courts may issue a preliminary injunction. it may suffer irreparable harm or damages. It is possible to apply for a preliminary injunction ex parte, but the court is not bound by this request and may notify the defendant of the application. The court may even hold a hearing before making a decision on the application. The procedure usually takes one to four months. Rights holders may apply for a preliminary injunction for cessation or prevention of the infringing activities, as well as for seizure of the infringing goods. Goods seized under preliminary injunctions are safeguarded in the court’s custody until the final adjudication of the substantive proceedings. A reasonable amount of deposit in terms of cash, bank guarantee or government bond is usually required in order to secure the rights of the defendant and third parties whose rights and positions may be prejudiced by the preliminary injunction. Rights holders may request a preliminary injunction at any stage of the civil proceedings. Injunctions granted prior to the commencement of substantive proceedings will automatically lapse if the substantive proceedings are not commenced within two weeks of obtaining the injunction. Preliminary injunctions can be maintained until the final judgment becomes procedurally final and may be altered by the judge at any appropriate time during the trial. In order to commence a trademark invalidation, revocation (until 2023) or infringement claim, the plaintiff should apply to the court with a petition setting out the grounds for the action, together with all evidence supporting the arguments. Any form of evidence can be used. Before filing an infringement action, the plaintiff may apply to the court for an order securing evidence. The application should explain the plaintiff’s earlier rights and the material facts to be determined, usually in the absence of the counterparty. Subsequently, the court will appoint an expert to examine the evidence and prepare a report. The expert should not examine the dispute on its merits; he or she prepares a report only on his or her assessment of the evidence provided. This procedure can secure any kind of evidence, including printed materials, websites and domain name details. Another way of securing evidence is for the plaintiff to conduct a notarised purchase. To do so, the party demanding the evidence first applies to a notary, who goes to the other party’s address and purchases or collects the evidence sought. Following the purchase, the notary prepares a statement confirming that he or she witnessed the collection of evidence. However, expert evidence is the most important evidence relied on in trademark litigation actions in Turkey. As explained above, the court usually appoints the official experts and these experts are asked to prepare a comprehensive report by reviewing the claims and replies of the parties and all evidence existing in the file. If the court is not satisfied with the report, it may request an additional report from the same experts or from different experts. The parties are also allowed to work with their own private experts and submit the private expert reports to the case as party evidence. The Turkish system does not recognise affidavits as concrete evidence, but these can be considered as discretionary evidence. Public surveys can also be used as discretionary evidence. With the introduction of the Industrial Property Code, the long-lasting precedent of the Court of Cassation that a registered trademark does not constitute infringement or create unfair competition against another party’s trademark has been set aside. Under Article 155 of the Industrial Property Code, it is no longer possible to raise prior trademark registration as a defence in an infringement action filed via priority rights. Consequently, having a registration does not mean that there is no infringement. Defendants can raise a non-use defence in invalidation and infringement actions if the earlier trademark registration dates back at least five years before the filing date of the court action. In such case, the plaintiff is expected to submit evidence of genuine use of its trademark in Turkey or reasonably justify the reason for non-use. The defendant can also file a separate action based on non-use of the earlier trademark. Another defence arises out of the mark owner’s tolerance of the defendant’s use of the mark or similar sign, or the co-existence of the trademarks for a long period. According to Article 25(6) of the Industrial Property Code, if a trademark owner has acquiesced to another party’s use for five consecutive years, the trademark owner cannot use its prior trademark as the basis of an invalidation action, provided that the defendant did not register its trademark in bad faith. Private or non-commercial use, fair use, descriptive use and exhaustion of the owner’s right are also common defences in Turkey. The Code of Civil Procedure (6100) entered into force on 1 October 2011. It provided for a three-level judicial system by adding a new second-instance level (district courts) to the existing first-instance civil courts and the Court of Cassation. The district courts opened on 20 July 2016 in seven provinces. Accordingly, after a first-instance court renders its reasoned decision, a party dissatisfied with the decision may appeal within two weeks before the competent district court. The district court has the authority to examine the case on both procedural grounds and the merits. Upon the parties’ request, the district court may appoint another expert or panel of experts to obtain a new expert report while the court examines the merits of the case. In principle, the district court should examine the appeal during a hearing, except in the cases stated in the Code of Civil Procedure. A district court decision may be further appealed before the Court of Cassation if the conditions of the Code of Civil Procedure are fulfilled. The Court of Cassation is the third and final judicial authority in the new three-level system of civil procedure. As the new system started operating only recently, it is not yet known how and whether the length of proceedings will be affected. 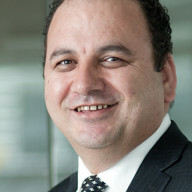 Mutlu Yıldırım Köse has been working for Gün + Partners since 2006. She is a partner in the firm, as well as a lawyer and trademark and patent attorney specialising in IP law. Her involvement in the IP field includes both contentious and non-contentious matters in relation to trademarks, copyrights, designs, patents, domain names and unfair competition. She also works in IP prosecution, where she supervises and drafts oppositions and appeals regarding trademark and design applications before the Turkish Patent and Trademark Office. She represents foreign, multinational and Turkish clients from industries including electronics, fashion, cosmetics, textiles, entertainment, hospitality and tourism, media and entertainment, pharmaceuticals, broadcasting and telecoms, in all aspects of IP and regulatory matters. Uğur Aktekin co-heads the firm’s IP practice and technology, media and telecoms practice. His IP practice focuses on trademarks, designs and copyrights. He advises on IP protection and enforcement strategies and portfolio management, representing clients before the Turkish Patent and Trademark Office, as well as in cancellation, infringement and other court actions and domain name alternative dispute resolution proceedings. He files for interlocutory and precautionary injunctions and negotiates and drafts co-existence, settlement and licensing agreements. His technology, media and telecoms practice covers media, advertising, consumer law, the Internet, technology licensing, information technology, software, games, data protection, data privacy and security. 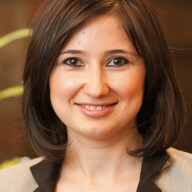 Hande Hançar Çelik co-heads the firm’s technology, media and telecoms practice. She specialises in IP law. She advises on both contentious and non-contentious matters relating to trademarks, copyright, industrial designs, domain names and unfair competition. She has extensive litigation experience and has counselled various foreign clients on IP strategies, legal disputes, licensing and settlement agreements. Regarding her copyright and IT practice, she has advised several companies on data protection and data privacy policies, as well as clearance of their current policies. 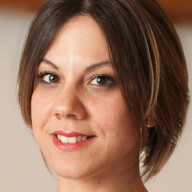 She has represented clients in several Uniform Domain Name Dispute Resolution Policy cases before the World Intellectual Property Organisation and the European Registry for Internet Domains.